Having a plan and being prepared for your kitchen remodeling will reduce stress as your kitchen renovation gets started and we also recommend that you try keep your sense of humor and know that your new dream kitchen will be done soon. Kitchens are the main part of most homes and eventually they become outdated and need to be renovated. Especially since it’s where you cook and prepare meals for your family, friends and you. It also tends to be the area that everyone likes to hang out when there is a gathering. 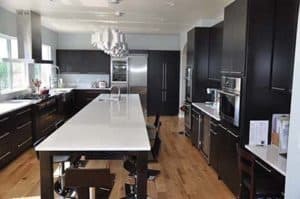 So, doing your kitchen remodeling right and having it be something that you can be proud of is what we strive to bring to every one of our customers. When you choose DeYoung Brothers Construction to Renovate your Kitchen you will be hiring an experienced team of experts to work on your home. From start to finish you will see your new kitchen dream come together. From design, to layout and then to build out we do it all in a well laid out schedule that you can rely on. And, because we are a small company you will also be getting it at a great price. For more details on kitchen remodeling with us, Click Here. DeYoung Brothers Construction is based in Castle Rock, Colorado. A lot of people don’t plan for this, so make sure that when you box up your kitchen that you keep the items that you use regularly accessible. Put them in a location that you can easily get to, and make sure you mark each box as to what’s in each one and create a map as to where each box is. By doing this you will easily put your kitchen together when it is completed or if you need something while its being renovated, it can be accessed. 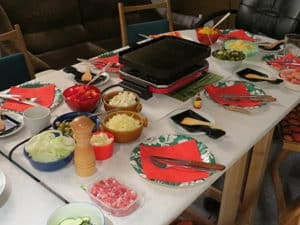 If you have a foldout or a small kitchen table(s) is an effective way to set up a temporary kitchen with items such as your coffee maker, electric skillet as well as any other vital items… wine opener. Should you have an outside barbecue and it can be used during the kitchen renovation take advantage of it. Many have a single gas burner as well as the barbecue itself to cook making another temporary cooking area. We suggest that you put it in a location as well as any other items that you’re using for cooking to be accessible but out of the way of the work that is being done to your kitchen. Also, you might want to thin out the food in your refrigerator before the work gets started since you will not be able to cook at the level you normally would. This is easy, just set up a small table where you can frequently eat and if it is a nice day, and you have outside patio area with furniture, use that as another eating area. Since your kitchen will be out of commission during the renovation, washing your dishes in the sink or in the dishwasher will not be available. So, purchase disposable items so that you don’t have to worry about as much cleanup. Make sure to include in your budget to plan on eating out more often during the renovation of your kitchen. Whether it be in a restaurant, take out, or microwave meals can help cut down on any cooking that you may have to do. There really is no way to get around this, so we suggest that you cover furniture that you’re not using to reduce the dust and even with that said just plan on things being in disarray and dusty. Yes, there will be noise so if you are at home during the day when we are working on renovating your new kitchen we suggest that you try to put yourself in another area of the house. 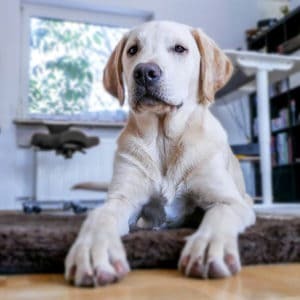 We can guarantee that your pet(s) will have no idea what’s going on and will be scared, curious and unsure as the kitchen remodeling is happening. Make sure that you provide them with a safe location to go so they don’t accidently run out an open door. We also suggest lots of love and snuggles to help them feel safe and secure. 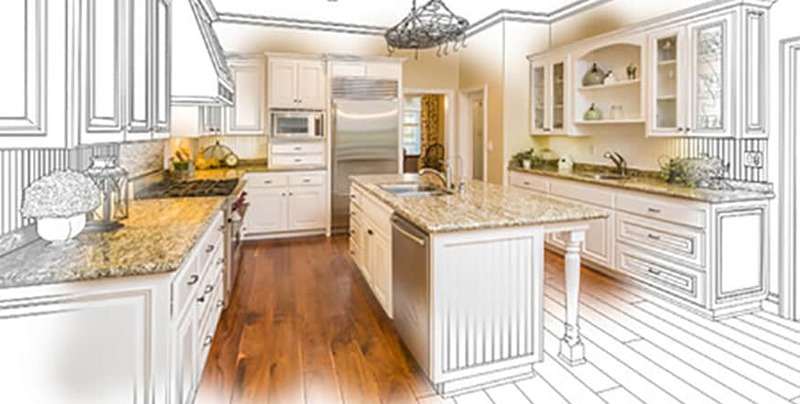 This is a terrific way to check on the progress of your kitchen remodel, and for us to answer any questions you may have during the process. Realizing that most cannot take the time off while the work is being done, but if you can it does help relieve having to deal with everything going on. Try not to worry, if you’ve hired us be confident that you made the right choice.